“Why so serious?” Is the question you may ask when you walk into a room and you sense that it is too dark for your liking. Whether you are in the home or in the office, the lighting will impact the mood, look and feel of the place. Some people like a more somber mood, which is fine. However, if you are the type of person who is bright and bubbly, then turning dark spaces into a heavenly oasis will be just right for you! Ideally, seek to get as much natural light as possible into your home to create a brighter effect. You can choose to consult with the experts in roof windows from Melbourne or you can always add more light with artificial lighting options. Below are a few considerations you should keep in mind. Open up to the world with large windows. The quickest way to transform those dark spaces into bright welcoming areas is by installing large windows. There are ranges of different window options to choose from. Increase the brightness in the room by investing in a skylight. Skylights are a great option to increase the amount of natural light into a room. There are several skylight options that can brighten up the room. You can consider a few of the options provided below. 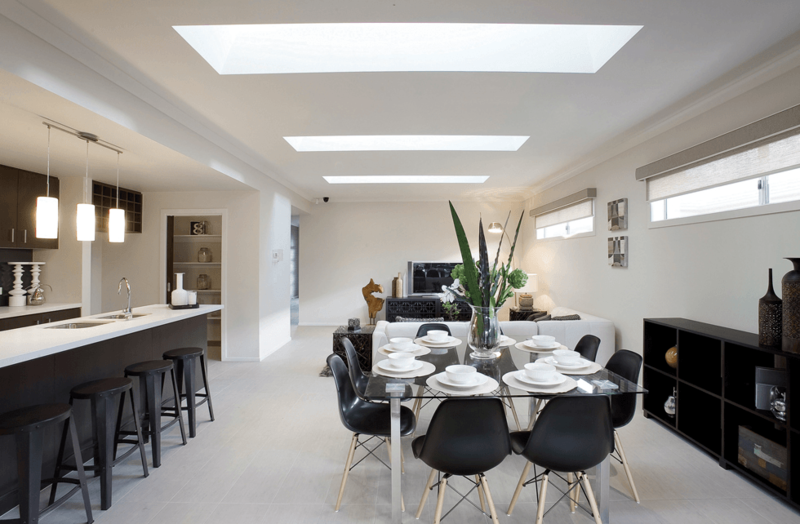 Velux windows are a great option as they really brighten up the room. However, you will need to consider the amount of brightness that the room will have with the installation of these windows. They are a great option to have, however, if you are a light sleeper, the morning sunshine may affect your sleep patterns. 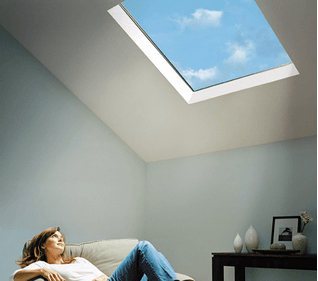 Increase the feeling of spaciousness by installing skylights into your place. Skylights open up the room to the warmth and brightness by day, and the stars and moonlight by night. The effect can provide a dream like effect in the space. Growing in popularity, these tubes are a neat and inexpensive way to bring natural light into dark spaces. These can make your place feel like it is being opened up to the world. It provides the illusion of more space and more light. It can create a more homely and welcoming space. Shutters are a great way to control both the light and heat inside the home. There is the option to have external or internal shutters. External shutters can add to the exterior design and adds a further element of privacy. You can simply adjust the shutters to let in as much or as little light as you desire. Internal shutters can be developed on the windows with wooden, metal and fabric designs. If you need a bit more than natural light, then consider internal lighting options to brighten up the room or improve the aesthetics with these handy tips. Mirrors can act like an additional open window and bring more light into the room. The mirrors will reflect the light and project a more positive ambiance around the room. Consider placing a few mirrors around. Do you know what wattage your bulbs are? If they are dull, change your bulbs to a higher wattage (ideally 60 watts or above). If there are any lights that aren’t working or the bulbs are burnt out, change them! Place glass objects around the room. Invest in items that will reflect the light in your room rather than absorb it. Should you have wooden objects or darker colours within the room, you may find that it will absorb the light, creating a duller atmosphere. You can counteract this by adding items in the room that will give the room a bit more pizazz and bling. You can achieve this by placing reflective objects such as glasses and vases with a reflective finish around the room. Place framed artwork on the walls and invest in tables with glass tabletops for the room. An added benefit to installing the natural lighting options is that they are environmentally friendly. You will find that you will cut down on your light energy consumption and you will be doing your part to help the environment. If you have been looking for a way to make your room feel livelier, then beat the doom and gloom of dark rooms and turn your space into a heavenly oasis with these tips to make your place brighter and happier for all.